The cauda takes on a diverse variety of shapes and sizes. The longer caudas are used to flick droplets of honeydew away from the aphid as it is excreted. 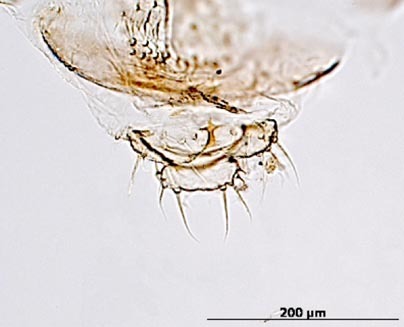 Its length, its width at the base, and the number of setae on it are important features for identifying aphids. Most aphids have a somewhat conical-shaped cauda and usually bears setae. The cauda here is unpigmented and carries six visible setae. 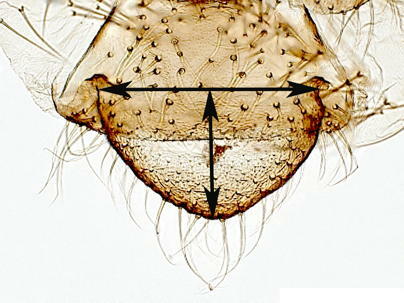 Cauda length is measured from the center of the base (in the middle of the line between the two lateral margins) to the tip. The basal width of the cauda is measured from the two lateral margins. Sometimes the basal margins curve outward away from the rest of the cauda. It is best to make the measurement from the inflection points as it is often difficult to find just where the curve ends. This cauda is pigmented dark. 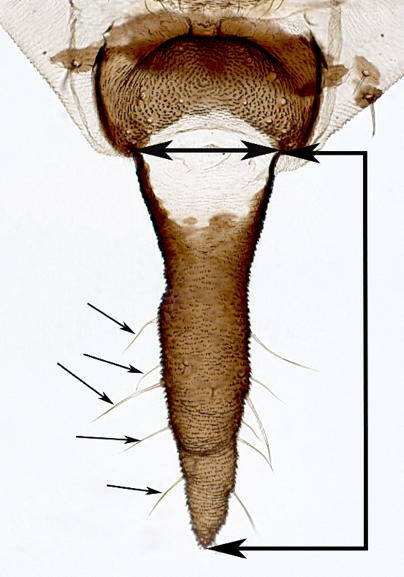 The arrows highlight the length, basal width, and some of the caudal setae. 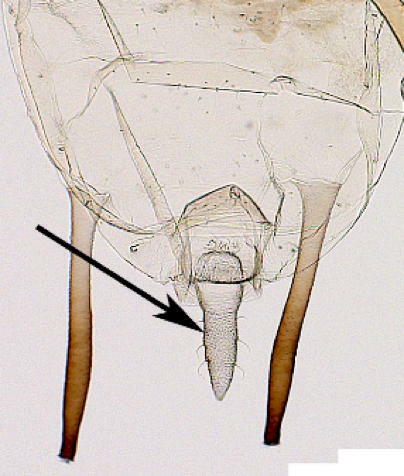 Some aphids have a cauda shaped like a knob. Some caudas are reduced as simple domes. Length and basal width measurements of dome-shaped caudas are the same as longer ones (see black arrows). 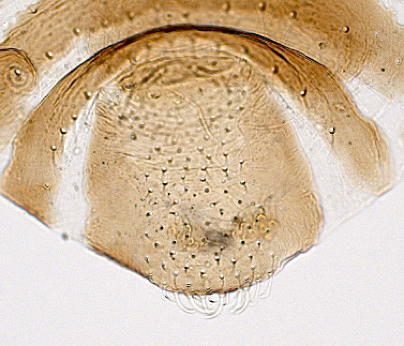 Counting the setae on them is difficult, so setal counts on these caudas are not part of the AphID key. In some cases the cauda may be indistinguishable. This cauda is not measureable.